I have made this dio for two years. Erwin Rommel is a my favotite, so this is a main motivation of this work. I used many companies’ figure and vehicles but most difficult is making baobab tree by myself. Absolutely beautiful work: museum quality in my opinion. Words actually fail me: absolutely incredible on so many levels! Thanks a lot. Rommel is really similar to him. So I start this work. Great scenic detail and the colour palette is spot-on. Very nice work. I appreciate to your good praise. ABSOLUTELY AMAZING!!!!! Well done. This is museum quality!!! Thank you. Sir! Maybe some german musium like this I hope. Your time, effort, talent, research and devotion to detail really shines through in this project – amazing work, sir. I am happy to finish this long dio without any mistakes. 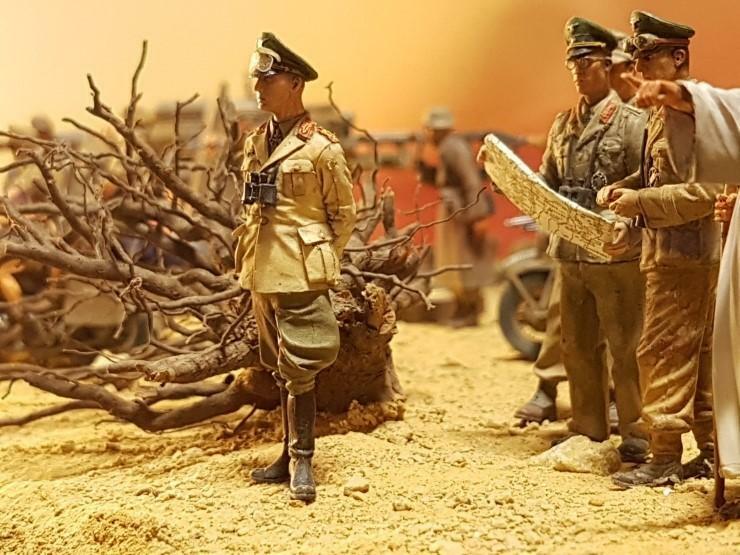 – Rommel’s figurine (Dragon I suppose) is very well posed and painted like the other figurines. His Horch staff car also there, is that Siegfried Westphal to his right? 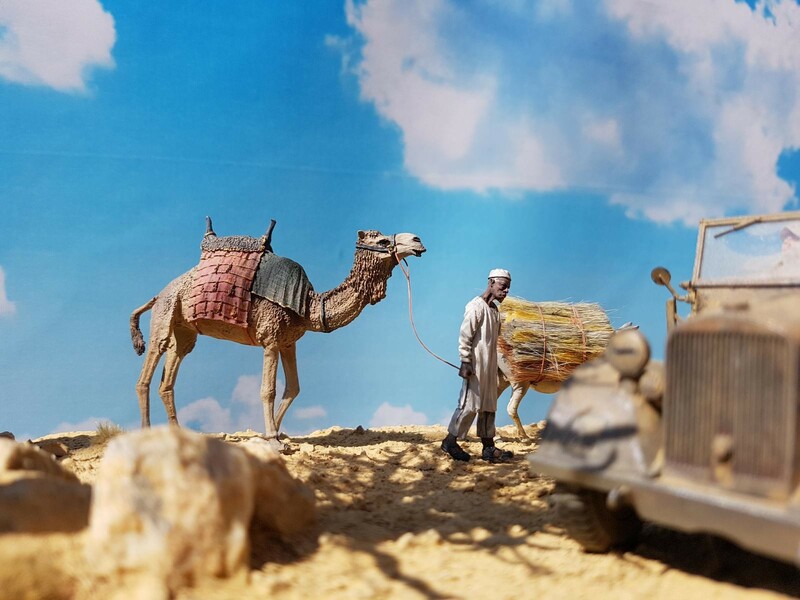 – Last but not least there is a boabab tree and a camel! Very well done, how long this build took? All my appreciation here, Michel. Once more thank for your sincere long answer. Micheal! During I work every dios, I always consider about their thinking & feeling not sight of a modeller. So I changed all smiling figures’ head to nonsmiling. And I imagined about Rommel and his staff who knew their loosing war in future. Echoing everything said above. This is a masterful piece of work. What a beautiful dio! Haven’t seen such a crowded scene done so well in quite some time. Excellent details. 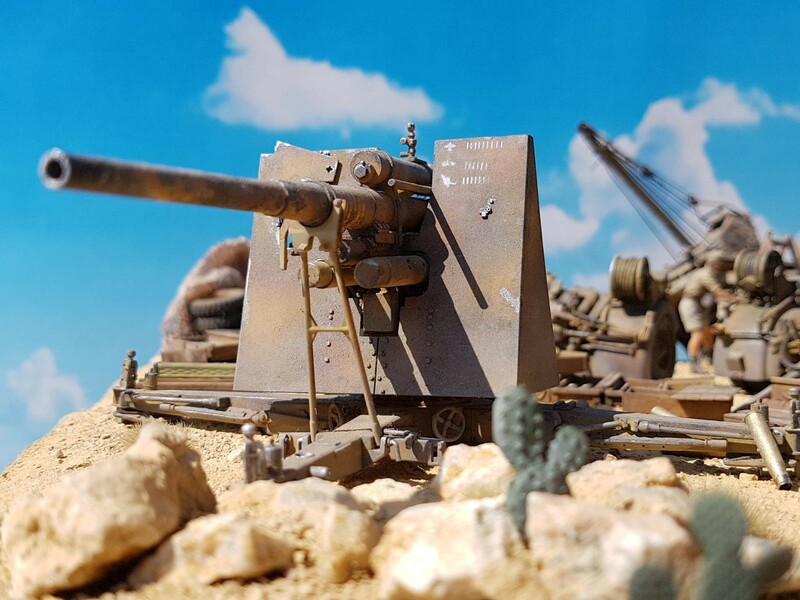 Now, THIS is a diorama! 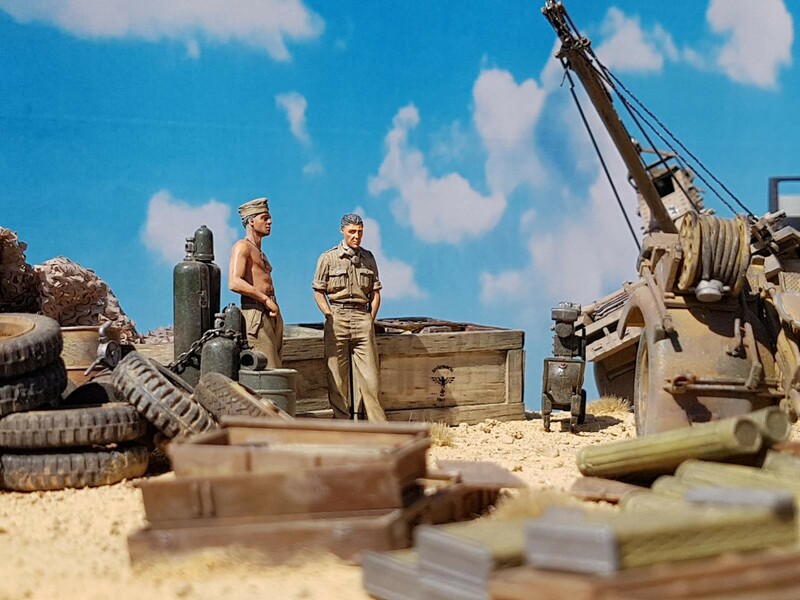 Everything done to equal quality – figures, vehicles, backdrop, base. And it definitely “tells a story.” You can almost put dialogue balloons above the figures. Really, really nice! Thanks for your big praise. Someday I want to make modellic cartoon with my dios. Your praise is too big. Thank you so much. Sir! Yup, squint your eyes and use your imagination and there’s definitely something of Da Vinci’s ‘Last Supper’ in this build – especially photo 9. It is simply amazing. Hi, this is an engrossing and very complex dio. 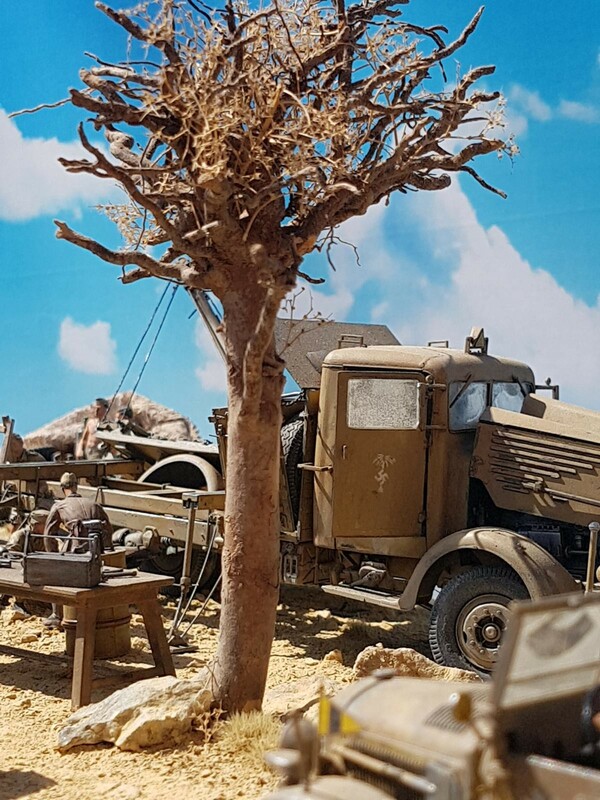 Fascinating to look at, it reminded me of so many things from my childhood modelling days, the Airfix Grief Sdkfz250, Shep Paine’s work… brilliant and I would love to see more images! As others have said this is a museum piece and has a strong visual narrative. 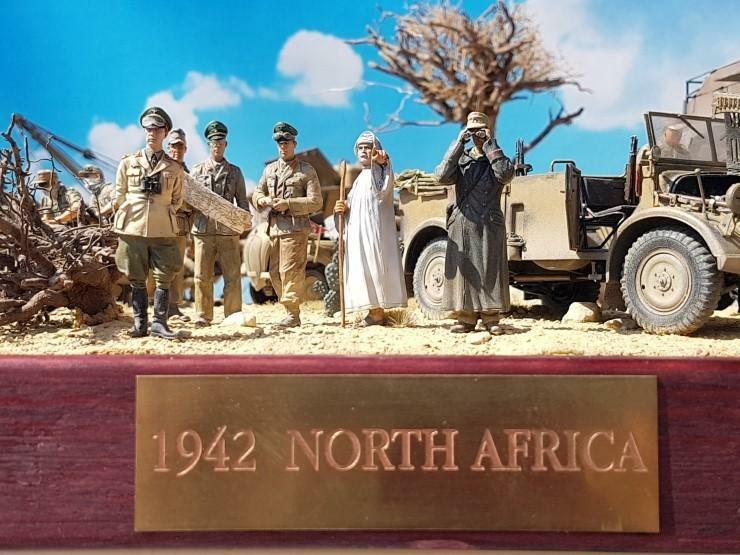 I made this all my efforts for 25 months as much as I like Rommel. 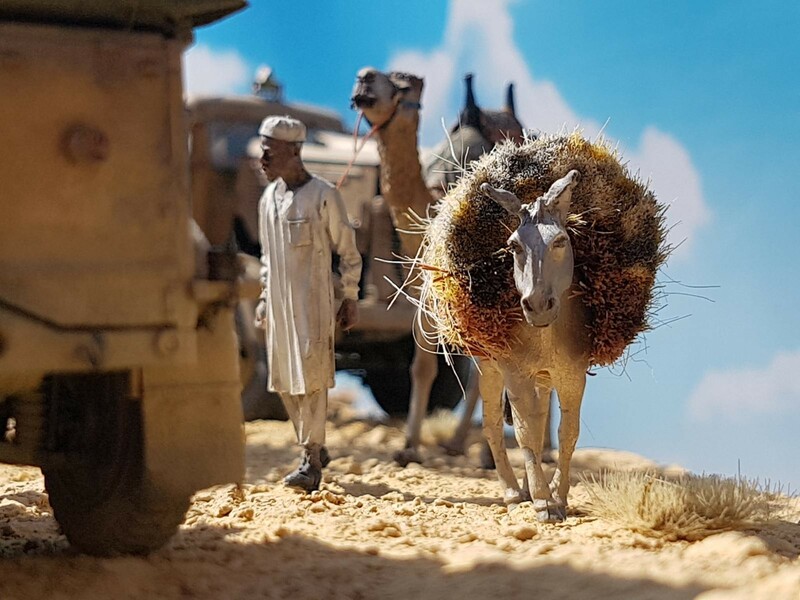 I changed Rommel figure 3 times to be same to real him more. Well! I will add pics woon. As mentioned above, museum quality. 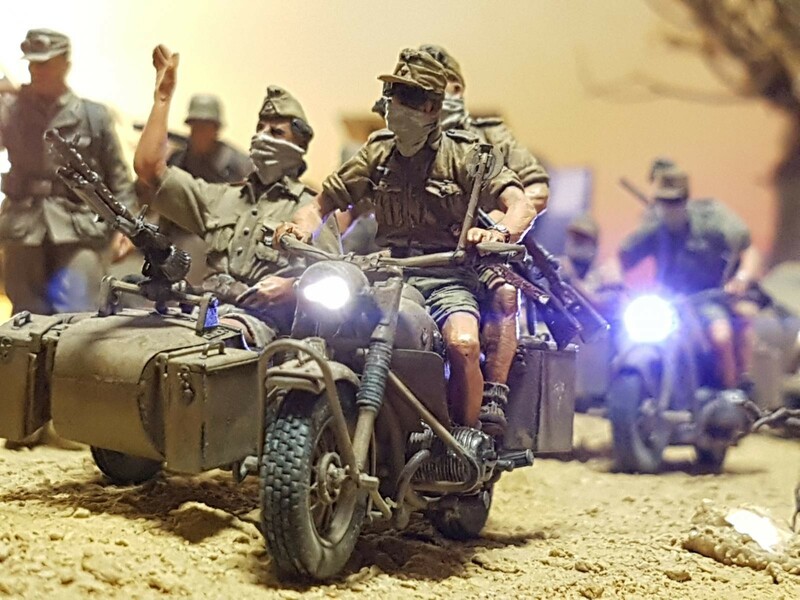 Another masterful diorama, Young Min, Jang. 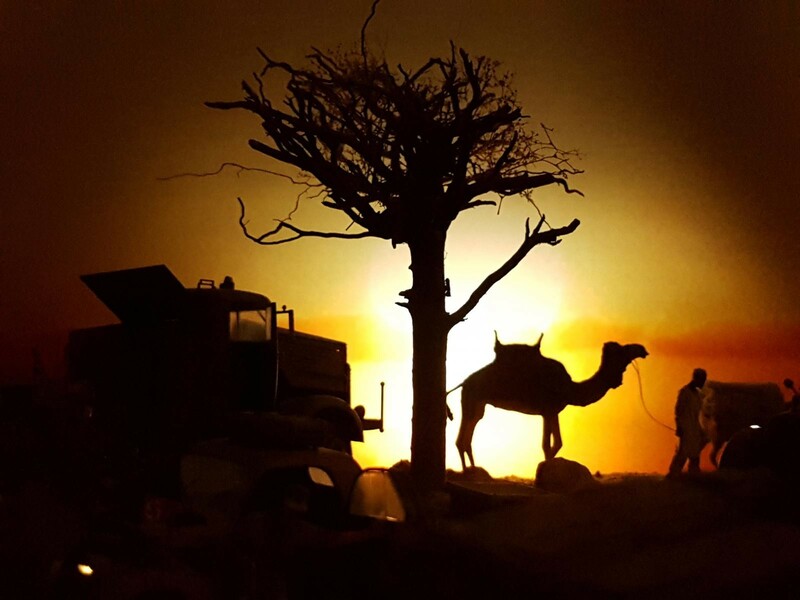 I especially like the camel framed by the tree at what appears to be dawn or sunset. Your photography is excellent, as well. 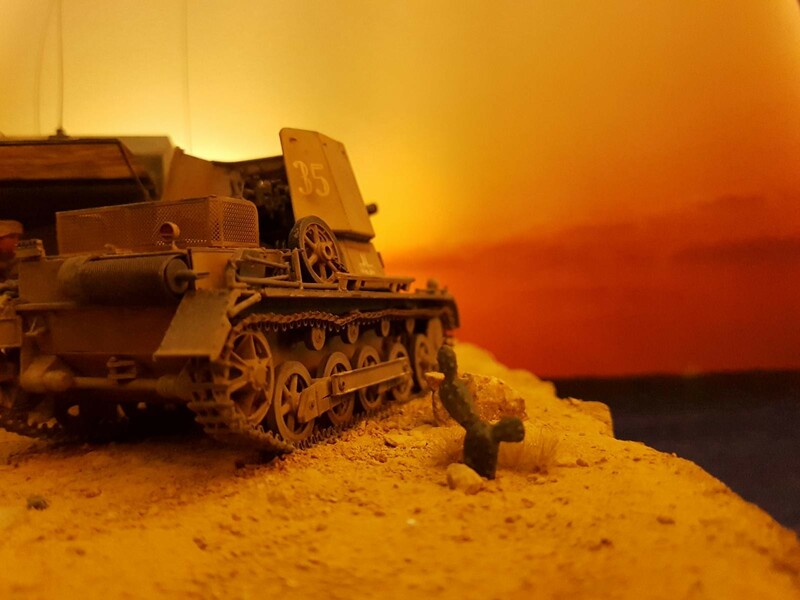 Sometimes I enjoy to take modelling photos using light and back screen more than making modelling.